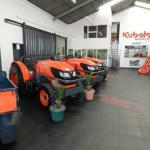 Spend thirty minutes with “Mr Kubota S.A” – Deon Engelke – and you too will be a convert to the Kubota cause. His enthusiasm about this outstanding product is palpable and his obvious knowledge and expertise impressive. Born in the shadow of the Hottentots-Holland mountain range in the Western Cape, Deon was driving tractors almost before he could ride a bike. “At the age of ten I was already doing a host of chores on the farm which required driving a tractor and ever since then these power-house machines have been a real passion for me,” Engelke says. 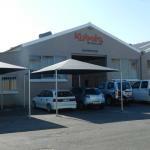 Some nine years ago Smith Power Equipment – distributors of Kubota in South Africa – MD, Wally Bergmann convinced Engelke to take on the responsibility of getting Kubota to where it should be. “I said I’d do it for a few months to get things going and suddenly it’s nearly ten years. In the year I began we did about 20 units. This year we’ll do 500! The growth has been phenomenal but not surprising. 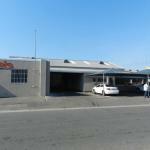 We have a great team and an outstanding product,” he says. Engelke is completely genuine when he says that Kubota is one of the best tractors ever made. 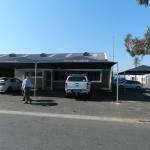 “For reliability, performance and versatility there is nothing to beat these machines and I know that they offer the best value for one’s investment. 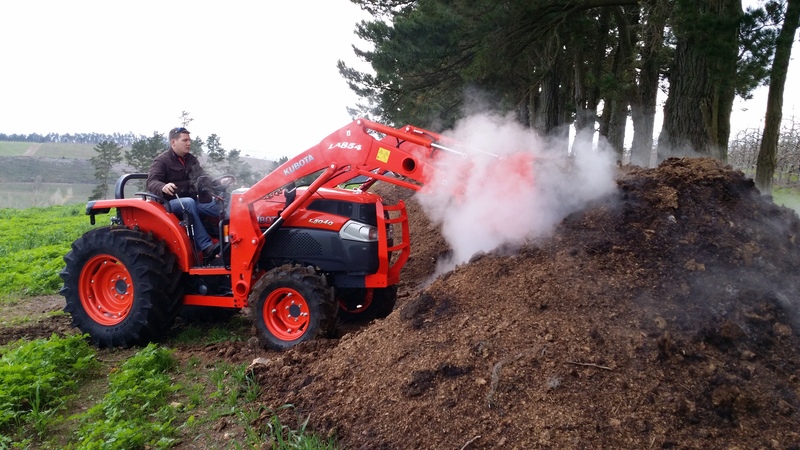 One’s tractor needs to be engineered for the long haul and quite simply Kubota tractors deliver in this regard,” he says. 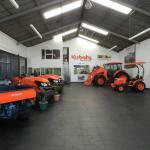 He adds that Kubota leads the way in innovation and engineering excellence. 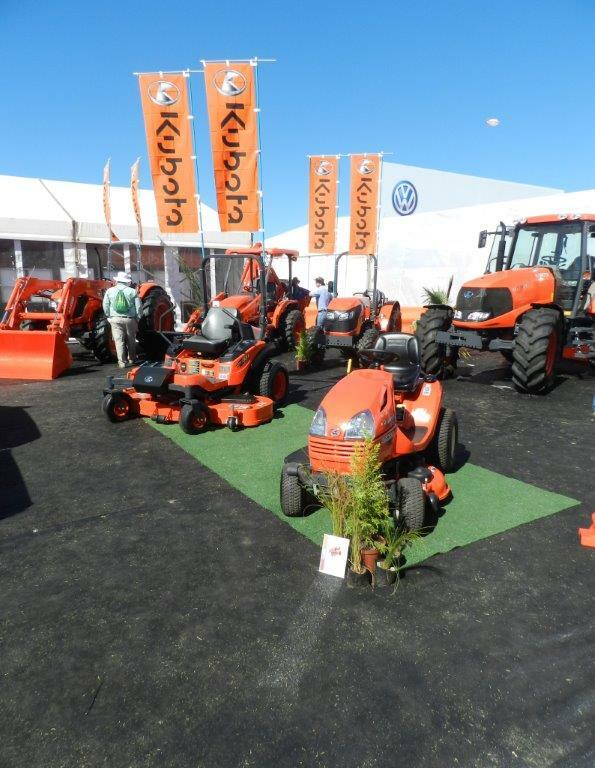 It is one of the world’s largest manufacturers of diesel engines under 100HP while it has developed the first hydrostatic transmission systems for compact tractors and diesel ride-on mowers. 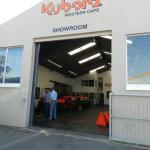 Meanwhile Kubota in Cape Town has revamped its premises to enable it to deal with the growing demand. 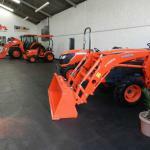 “This part of the world has gone crazy,” says Deon’s son, Leonard, who manages Kubota Western Cape. 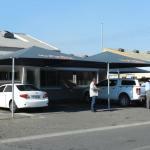 “We started off in niche markets like wine farms but we now service the general agricultural, landscaping and construction sectors throughout the region,” he says. 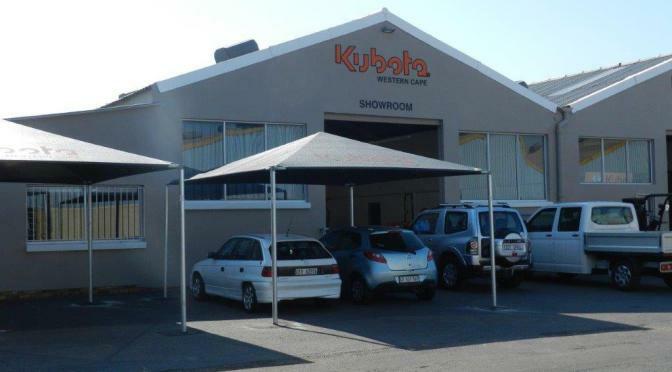 Kubota’s comprehensive dealership network located across the country supply Kubota owners with parts and service and their expert sales and technical teams share their product knowledge and experience with their customers wherever they are at any time. 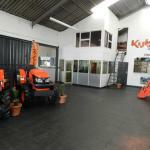 Kubota’s range of products includes tractors, diesel utility vehicles (UTVs), TLBs ride-on mowers and diesel engines.